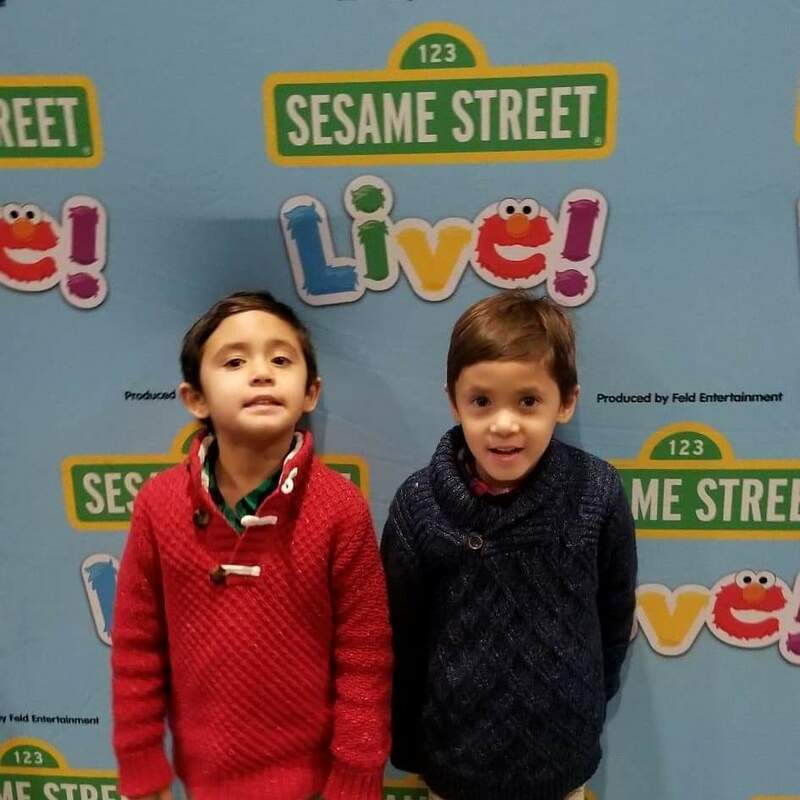 We were recently invited to experience Sesame Street Live! Let’s Party in Ontario, California. Our contributor, Chay Thaopaset, and her family headed out to see what the party was all about. Is the show too long? Will your kid’s get tired of sitting down? 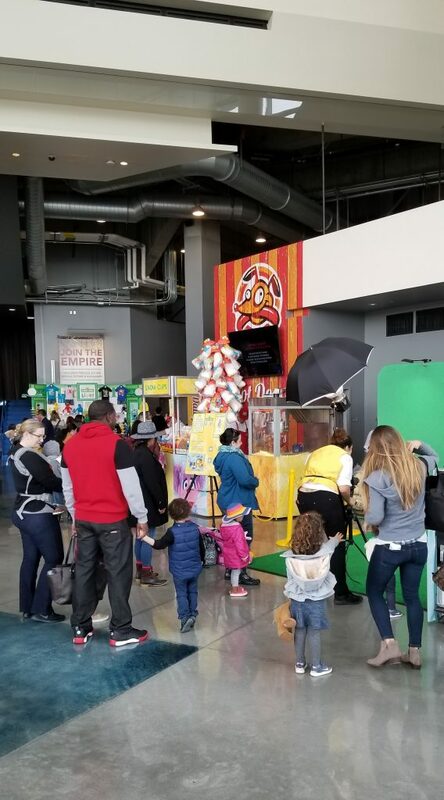 Read on to get a parent’s perspective about the Sesame Street Live! Let’s Party show! We received complimentary tickets to the show in exchange for our review. All opinions are our own. This post may contain affiliate links. Please refer to the site policies for more information. 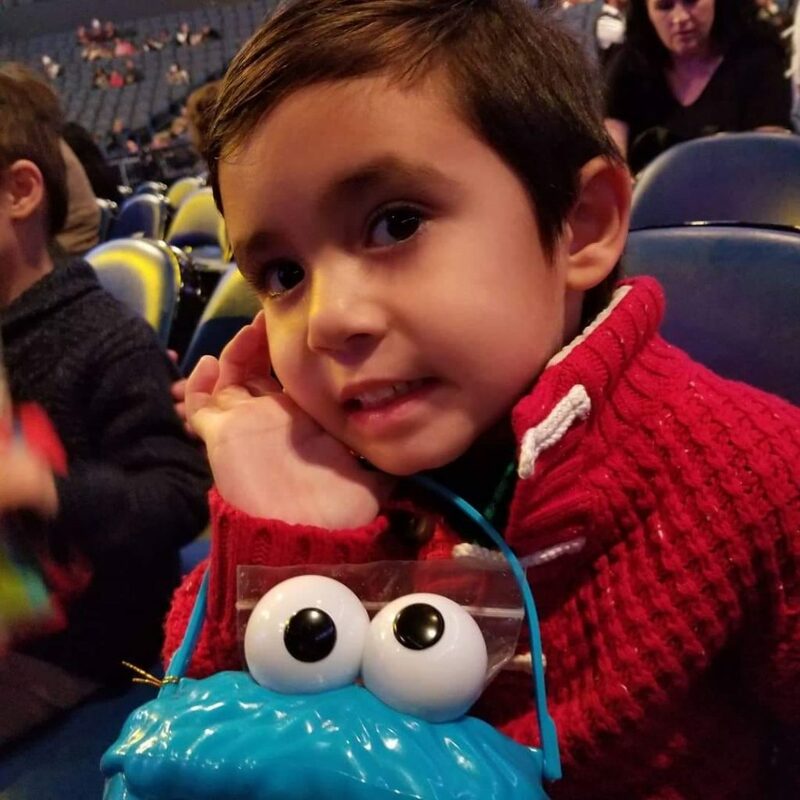 We recently went to see Sesame Street Live! Let’s Party at the Citizens Business Bank Arena in Ontario. 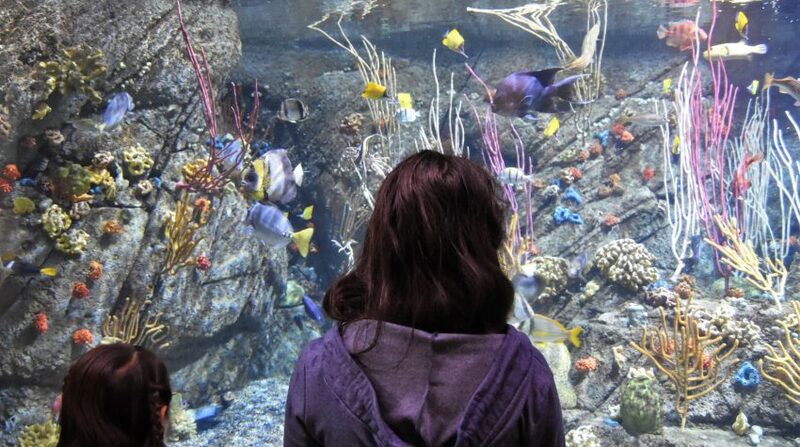 My four-year-old twin boys had fun, and so did us parents. 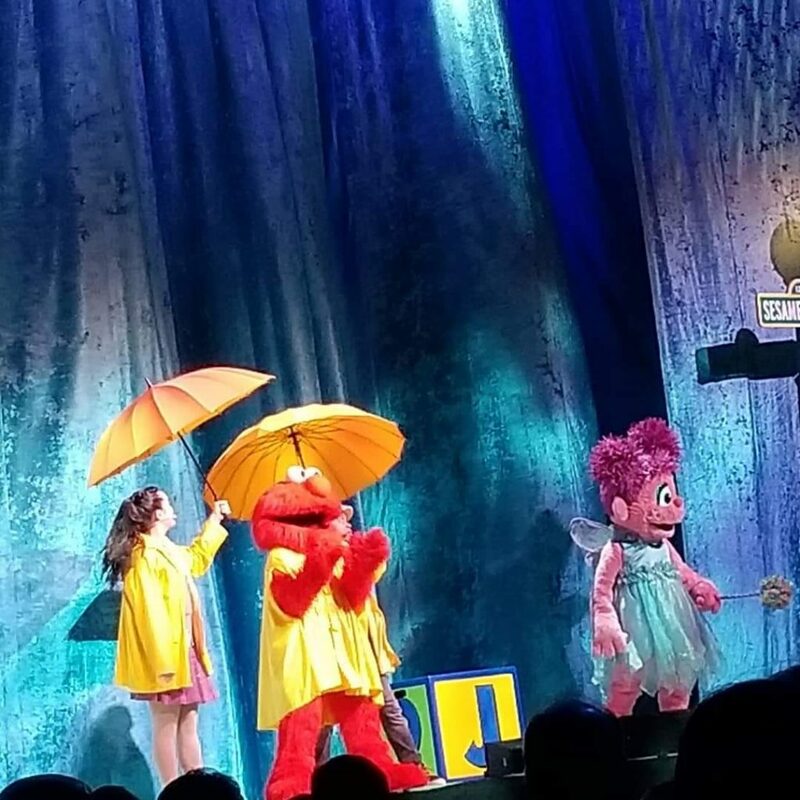 The show was engaging and featured all our favorite Sesame Street friends including Elmo, Big Bird, Rosita, and more. You will find plenty of photo, snack, and interactive opportunities in the lobby. We watched a free puppet show, which my toddlers enjoyed, and they played an interactive Elmo game before we took our seats. My advice? Make sure that you bring cash for parking and snacks they sell during intermission. I wish I knew this earlier, so I could have avoided waiting in line before the show for popcorn and water. How do we avoid meltdowns? While waiting for the actual show to start, Sesame Street Live kept it interesting by having Grover come out to entertain the audience and tell you how many minutes until the show. For parents of young children, you know how helpful this is to keep your little ones occupied and in their seats. Which character is the focus? 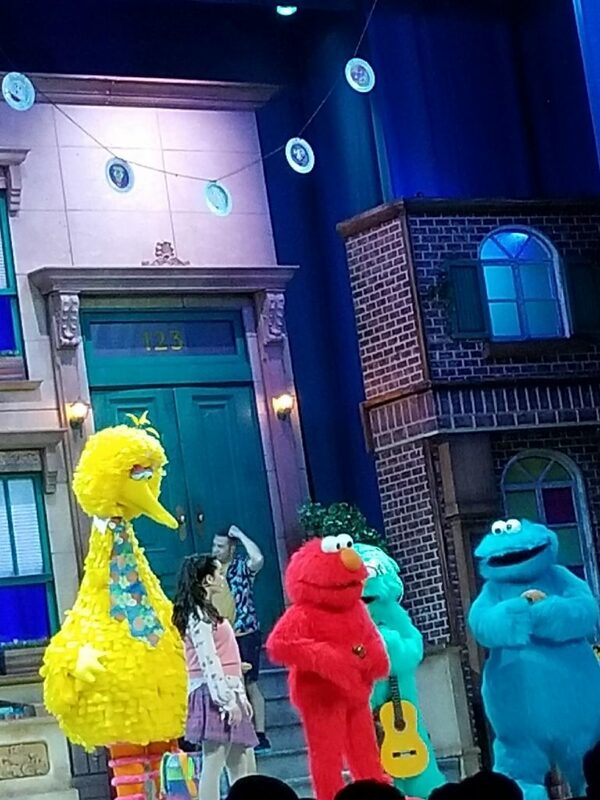 Sesame Street Live did a great job of giving quality spotlight time to so many characters. I was worried it would focus on a few characters and not give all the fan favorites their time to shine. No matter who your favorites are, you are guaranteed to come away satisfied and feel like you had fun with them. The Sesame Street Live show opens with an amazing set and you really feel like you’re standing directly on Sesame Street. The set also featured a super cool animation screen they called the Community Billboard that really took the show to another level and greatly enhanced the wow-factor. 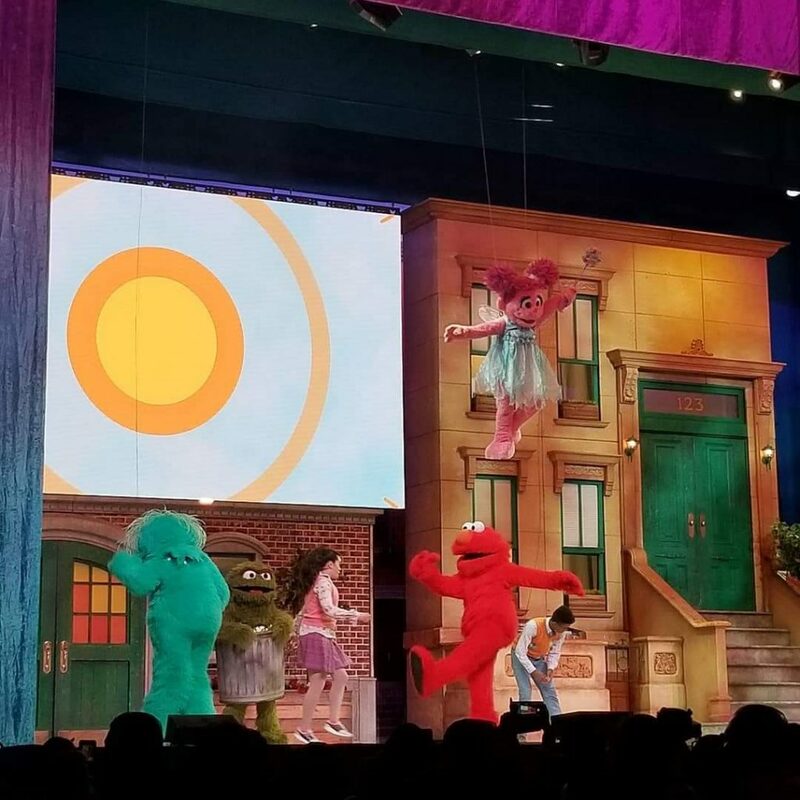 One of the most exciting part of the Sesame Street Live show was when the cast started “Dancing is Easy” and it felt like every person, child and adult, was singing along and dancing in their seats. It was moments like this that kept my kids, even my shy one, and the rest of the audience, highly engaged for the entire show. And the party kept running strong for the rest of the performance. Will parents enjoy the show? Hands down, the best part of the Sesame Street Live show were the positive messages it taught, such as recycle; be kind; and respect all our differences. 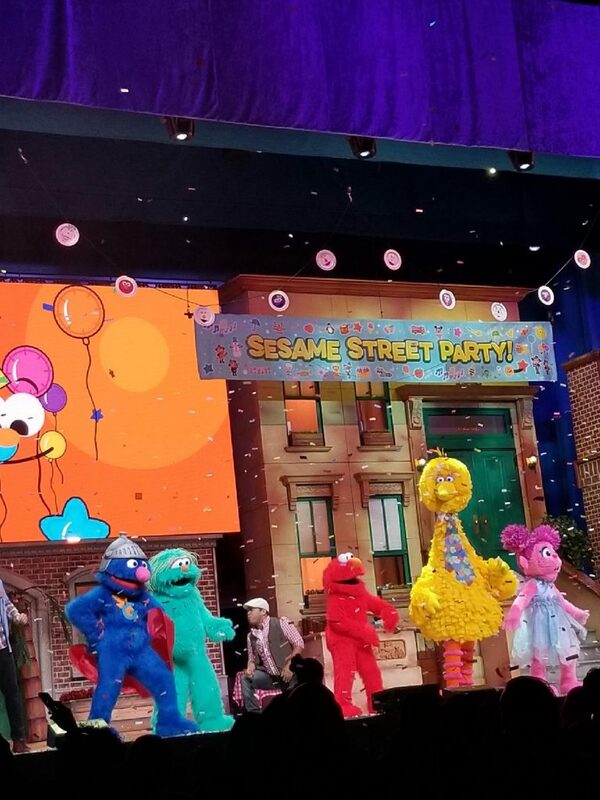 We can’t wait for the next Sesame Street Live! show to come to town. We all had a great time! Added bonus: With all the audience interaction, our boys danced themselves straight into a well-deserved nap during the car ride home. 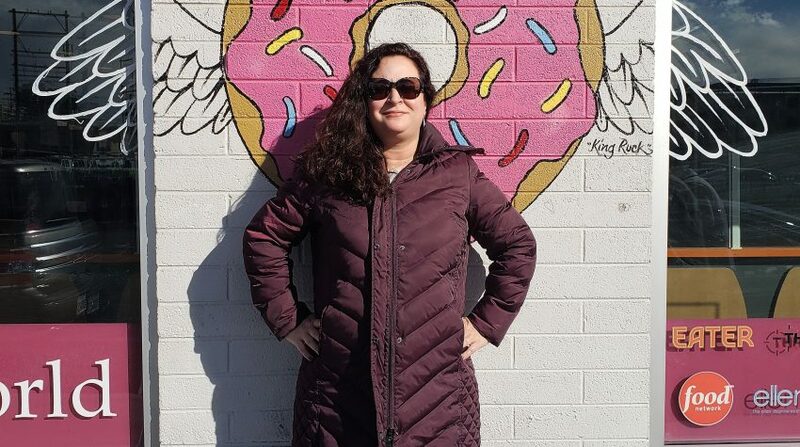 The length was perfect for toddlers and young elementary grades. It lasted an hour and a half, with a short intermission right in the middle. Bring Cash: You will need it for parking and to buy snacks during the show. Looking for some more local entertainment?